* Cap Size: This Wig comes with the elastic strap. 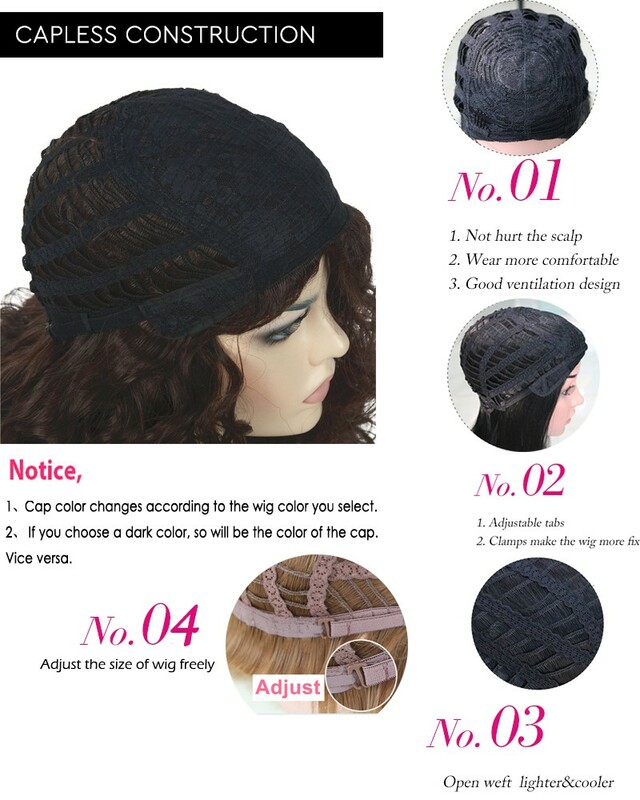 This provides additional comfort, as well as confidence your wig won’t fall out, or get blown away by wind. When I received the product, I loved it! The color and quality was excellent! However after wearing it for a few weeks the ends get frizzy and looked terrible! This is the best synthetic wig I have worn mainly for the fit and because it holds its style and shape well when packed in my luggage during travel. The ease of styling is great. A product I will happily recommend to anyone purchasing a wig. This wig is prettier than hair! Wavy wisps and highlights around the face make this a gorgeous wig. The curls were a bit long for me so I had this trimmed into a long bob. The wig was great. Unfortunately, I don't agree with your policy that the wig cannot be tried on before returning it. I did not like the color at all, but decided to try it on to see how it looked.